On 27 April 2019 the High Court of Justice refused permission for a judicial review of the Attorney General’s decision not to give his consent to the prosecution requested by PICAT. This brought a formal end to the legal process but because the AG’s conduct throughout the process had been disreputable our Group decided to submit a complaint to the AG’s Office, in which we argued that the AG’s conduct had brought his office into disrepute. We requested that our letters of complaint be put before the new AG (Geoffrey Cox) for his consideration. Our request was refused. 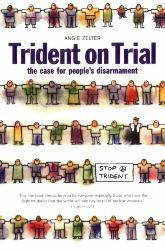 In his submission to the High Court of Justice the AG argued that PICAT’s case was based on the premise that any use of the UK’s nuclear deterrent would be criminal regardless of the circumstances. This is definitely not PICAT’s case. Our Group therefore decided to submit a second application to the AG for permission to prosecute based on PICAT’s actual case. The AG did not accept our analysis and added that any further correspondence will remain unanswered. As a consequence we informed the AG that we would bring his conduct to the attention of the media, which we did on 11 March 2019. 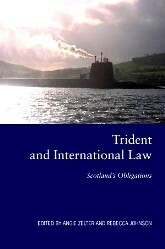 ← The Role of Parliament in the UK Constitution: Authorising the Use of Military Force.